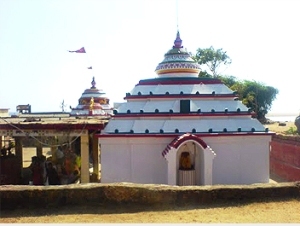 The Ramchandi Temple is the most popular attraction situated near the Ramchandi Beach. It is situated on the shores of this beach and near to the Kusabhadra river. According to legend, this temple was built by a priest who had a dream in which, Goddess Ramchandi asked her to build this temple on those shores. This temple also forms one of the most famous Shakti Peeths of Puri and lies near to the Kanakeshwar Temple of Ramchandi-Beach. This temple is also situated at a short distance of 8 km from the world-famous Sun Temple. Surounded by casurina plantations, the main attraction of this temple is an idol of Goddess Chandi seated on a lotus, which is hidden by sand mounds at the merging of River Kusabhadra and the Bay of Bengal. According to a legend among the local people, during the 17th century, Kalapahada, a rebel Hindu Brahmin youth who had changed his religion to Islam and had taken a vow to destroy all Hindu temples; had supposedly tried to destroy this temple as well. It is said that, when he arrived at this temple after destroying the Sun Temple, Goddess Ramchandi, dressed as a Maluni, saved the temple from destruction.